The paper presents the kinematics of rock instability of a high promontory, where Tithorea village is situated, in the Central Greece peninsula. The instability phenomena pose a significant threat on the town situated immediately down slope. Rock fall episodes occurred in the past, as it has been noted by local authorities and published reports. 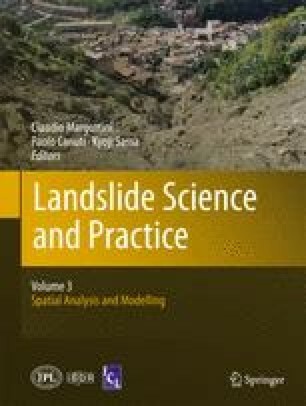 A more recent rockfall is investigated in this paper, which caused considerable damages to two village houses. The detailed rock fall path was mapped obtaining more than 15 hit points and rolled on different scree and vegetation material till it stopped and crushed upon the house roofs. The predominant types of kinematic instability are of planar or wedge failure and toppling of large blocks. In order to investigate the existing stability conditions and decide upon the protection measures, rockfall analysis was carried out. Such an analysis can be compared in detail with the actual situation, since the geometrical data of the recent rockfall incident are very accurate. On the other hand, other parameters of rockfall hazard such as the run-out distance of the boulders was examined.